Laura Horvath is a CrossFit rising star who qualified for the Regionals in 2016 and 2017, making her the Fittest Woman in Hungary for the past two years. With her passion for sports and innate competitive spirit, it’s clear that her journey with CrossFit will be one we should definitely follow. Laura’s passion for sports runs deep in her blood, as all the members of the Horvath family have a history with sports. With an athletic father and a PE teacher mother, Laura remembers that as a child she tried every possible sport out there. From gymnastics to running, everything seemed interesting to Laura. However, she found wall climbing most interesting and most challenging for her. As expected, climbing helped Laura develop her upper body strength, and it was just a matter of time until she started taking part in competitions. 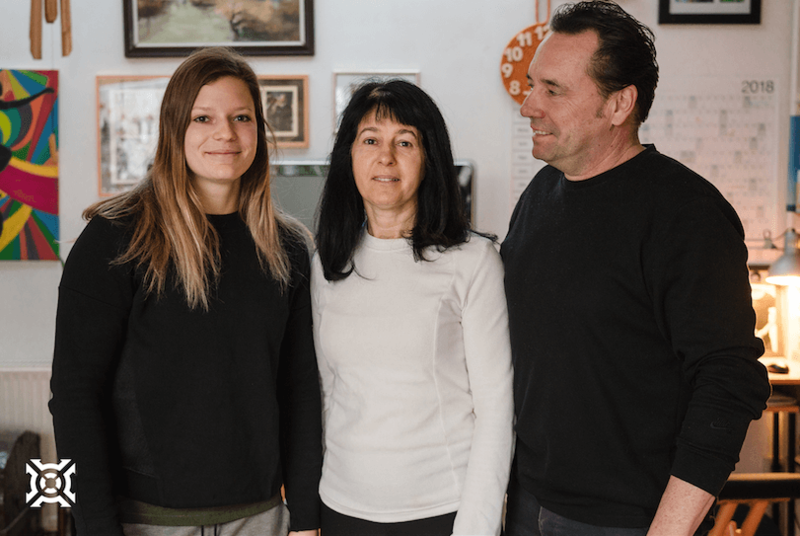 During her years as a teenager, Laura took part in numerous wall climbing competitions and brought home tens of trophies and medals from competitions all around Hungary and beyond. Laura is the middle child, having one slightly older brother and another one a little younger. While her younger brother has more artistic inclinations, her older brother is as passionate about sports as Laura. This might as well be the reason why Laura finds it so fun to compete. As it turns out, just a few years back, it was Kris, her older brother, that introduced Laura to CrossFit and weightlifting. It started off as a fun way of spending time together and challenging each other a bit. Naturally, Laura found CrossFit as a great way to improve her wall climbing skills. Despite their competitive nature, Kris was always extremely supportive or Laura’s athletic development. Because of this, not long after she started CrossFit, he signed her up for a competition, The Central European Throwdown, in 2014. Because of an injury, Kris could not compete himself, but had great representation in Laura, who finished 4th on the overall leaderboard. This marked Laura’s first competitive participation in CrossFit and the placing opened up her appetite for more. The decision that followed this competition was to focus more on CrossFit and leave wall climbing as a secondary passion. At first her mom was disapproving of Laura pursuit in such a rough sport. Especially that it involves heavy weightlifting which can cause severe injuries. However this wouldn’t stop Laura. Soon enough, her mom sinked into it and made her peace with Laura’s newfound passion. 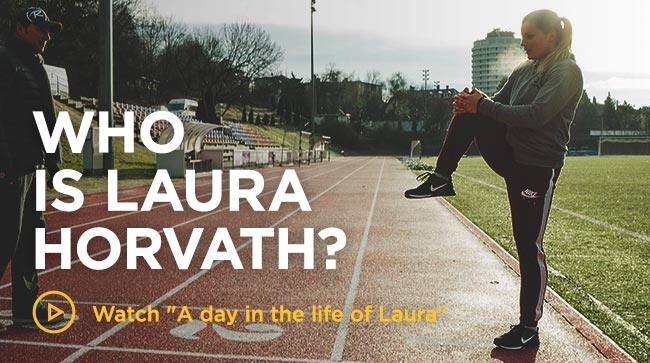 But it’s probably Laura’s father that has the biggest role in Laura’s sports life, as he became her running coach and her biggest fan at the same time. Once a week, the two of them go together to the track and Laura is doing her running while her father is timing and cheering for her. While lots of other athletes invest big money in a running coach, Laura prefers keeping it in the family. And the support she’s getting from her father is probably bigger than overanalyzing technique and a fancy coach title. Because let’s face it, which little girl doesn’t want to make her daddy proud? It was just a matter of time until Laura made it to the Regional. And after a brilliant Open season in 2016, when she finished 23rd in Europe, Laura got to compete alongside the biggest names in CrossFit in Europe, at the Meridian Regional. It was an incredible season for the 19 year old at that time. She placed 7th on the final standings, just two spots shy from qualifying to the CrossFit Games. These were Laura’s first interactions with the big name athletes and despite of her young age which could have intimidated a lot of other people, she remembers how friendly and kind they all were. 2017 came and saw a stronger and more mature Laura in the Open season. She finished the Open as 10th overall in Europe and qualified again for the Meridian Regional, where she ended the weekend 11th on the overall standings. The end of 2017 brought another huge celebration for Laura, as she finished second on the podium in the Dubai Fitness Championship, just behind Annie Thorisdottir. She stood one step higher than Kara Webb on the podium, who’s currently the Second Fittest Woman on Earth. Being so young can sometimes be a great advantage, but for most athletes it’s a detriment. Because at a fragile age you don’t know your limits and it’s easy to fall in the trap of setting expectations that are too high and then collapsing when you can’t reach them. Luckily, Laura has an extremely supportive environment around her. Starting with her family and continuing with her friends in the box where she trains in Budapest, CrossFit B’Bros. The unconditional support that the people there are showing her is what keeps Laura down-to-earth and realistic in terms of her progress. Balint Voros, one of the owners of the box, is Laura’s favourite workout partner. 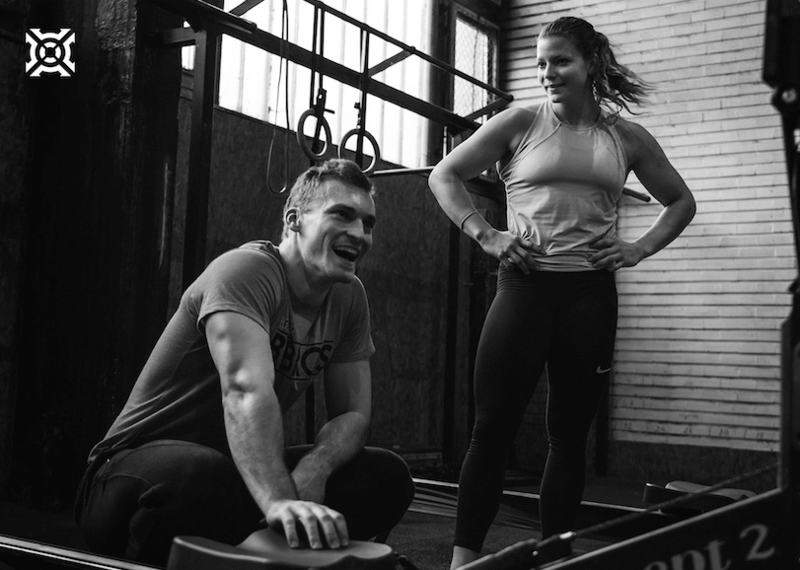 It’s not just that he can keep up with her in a rowing session, but he looks after Laura in many different ways, including reminding her that sometimes recovery is more important than jumping in on another WOD. At B’Bros there’s a bunch of people that regularly hang out together. They say that bonds between individuals are the strongest when people do things together, and this is something visible in Laura’s group of friends. It’s absolutely normal to see Laura with her buddies from the box, after half a day of training, heading to eat something together to a restaurant where the owner knows all of them because she’s training in CrossFit B’Bros as well. With a smile on their faces and pride in their eyes, Laura’s friends will tell endless jokes about how much fun it is to train together, but also how it can go from laughter to a complete thunderstorm if something doesn’t go as Laura expected. That’s what’s known as an “emotional meltdown” in B’Bros. But you’ll never see Laura admit to it. However, the person that stands by Laura the most is her boyfriend Zsolti, CrossFit coach and also one of the owners at B’Bros. He’s the one that’s continuously reminding her of the importance of resting, having a balanced life and patience in pursuing her goals. When you get to talk to Laura, her strong personality comes out quite fast. She loves training, she’s a fireball of energy and she’s loaded with grit. Besides this, she’s a fun youngster, who laughs a lot, likes driving fast and doesn’t care much about any rules. If she’s not going to tell you she loves competing, you’ll find out soon enough, as everything that surrounds Laura is a competition, even running up the stairs. The 2018 season saw a new and improved Laura. 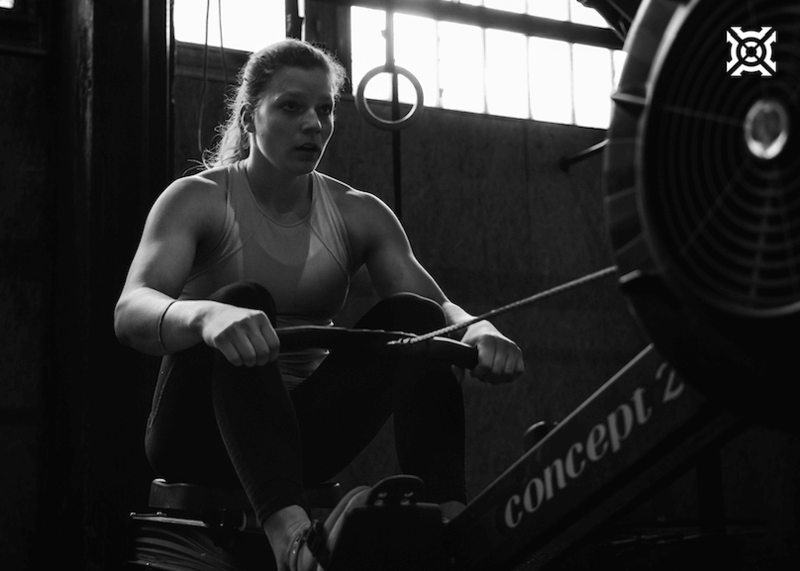 She joined the Deka Comp program where she build a strong relationship with Michele Letendre and managed to incorporate her knowledge in a way that boosted her training and performance. Already from start of the Open it was clear that Laura is a fierce competitor this year. 18.1 placed her right at the top of the leaderboard with a jaw-dropping 432 reps in the workout: 8 toes-to-bars, 10 dumbbell hang clean and jerks, 14-cal. row. Because of a mishap with the way the video was filmed, she had to redo the workout, and finished with an almost as impressive 420 reps, placing her 2nd after Annie Thorisdottir in this workout. She finished the Open 4th in her region, Europe North. The Regional came and Berlin was able to witness live what Horvath has been working on in herself. Workout after workout, Laura proved laser-sharp focus and strength in all workouts that were thrown at the athletes. Always finishing with a smile on her face, and taking things one step at a time, she never finished lower than 5th. Her favourite event was the last one, 4 rope climbs,16 thrusters, 3 rope climbs, 12 thrusters, 2 rope climbs, 8 thrusters that she finished in exactly 4 minutes, 22 seconds faster than second place finisher in the workout, Annie Thorisdottir. However, it was Annie that stood on top of the Europe Regional podium, Laura finishing just 4 points shy from her. After this finish it became clear she’s a competitor that’s hungry and will not lay back. After returning to Hungary, Laura took the decision to go to Canada for training directly with her coach, Michele. 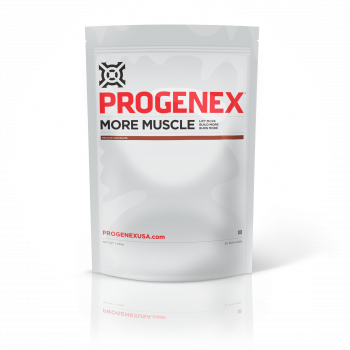 For one month she moved to Montreal and trained in Deka CrossFit Blainville where Michele taught her all the CrossFit secrets she needed to know before landing in Madison, making Laura’s preparation bulletproof. Named by the CrossFit Games Headquarters the “rookie to watch out for”, people were generally curious about Laura Horvath’s performance at her first CrossFit Games. Little did they know that she was about to have a jaw-dropping appearance. From Day 1 Laura was leading the cycling event for most of the race, being overtaken by Kristin Holte by less then a second. In the first day Laura had only top 10 finishes resulting in an overall first placing on the leaderboard. What followed was a glorious and well deserved rest day for Laura, who started the second day with a phenomenal win in The Battleground event, taking a clear win by a whooping 35 seconds advance. The next two events were not Laura’s best performances, seeing a 21st position finish in the Clean & Jerk speed ladder and a 17th position finish in Fibonacci. People already started speculating that the 21 year old lost momentum, thus her mental game might be affecting her and her performance. Laura managed to prove them wrong once again, having top 10 finishes in the next 4 events, ending the second to last competition day on the second overall position. Sunday started with a blast for Laura, as she finished the Two Stroke Pull event first. At this point Tia-Clair Toomey’s leading position was looking good, but not definitive at all. In the last event, Laura proved once again her outstanding fitness capacity, finishing Aeneas first. This was the moment the whole world could stop wondering and start being sure about what that this rookie underdog from Eastern Europe is really made of. Absolute determination, strength and consistency. And so, a new chapter in Laura’s journey with fitness has started, as the world’s CrossFit community turns their eyes for the first time to Hungary. Laura unpurposefully made a statement not just about watching out for young rookies hungry for win, but she proved that there’s talent and grit in the places you least expect. The world of fitness is evolving, it’s becoming wider, more inclusive and more challenging then ever. The period after The CrossFit Games was surreal for Laura Horvath. Her popularity spiked all over the world. She had already been a star in Hungary for a while, being the Fittest in Hungary, but being the Second Fittest Woman in the World brought resonated in the entire world. 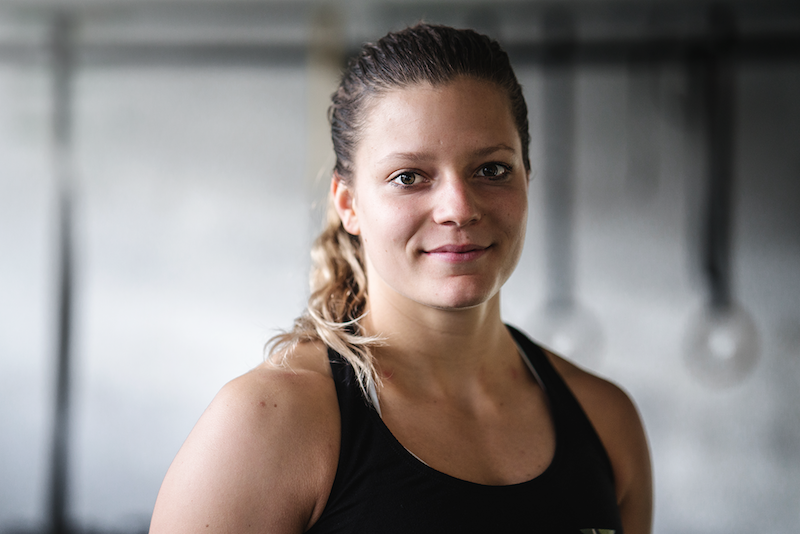 As a result Laura spent a lot of time traveling, going to the Wodapalooza summit, training in the US and then back to Canada to Deka Comp to meet her coach, Michele Letendre. Probably the first competition after the Games for Laura has been the Team Series, where she teamed up with Ben Smith. Out of the 8 workouts, they won 2 and finished on the first place. Another confirmation that Laura Horvath entered the worldwide CrossFit scene and is here to stay. With the news of the Games format changing and having Sanctioned events all over the world, the CrossFit Season has become sort of a year-round thing. 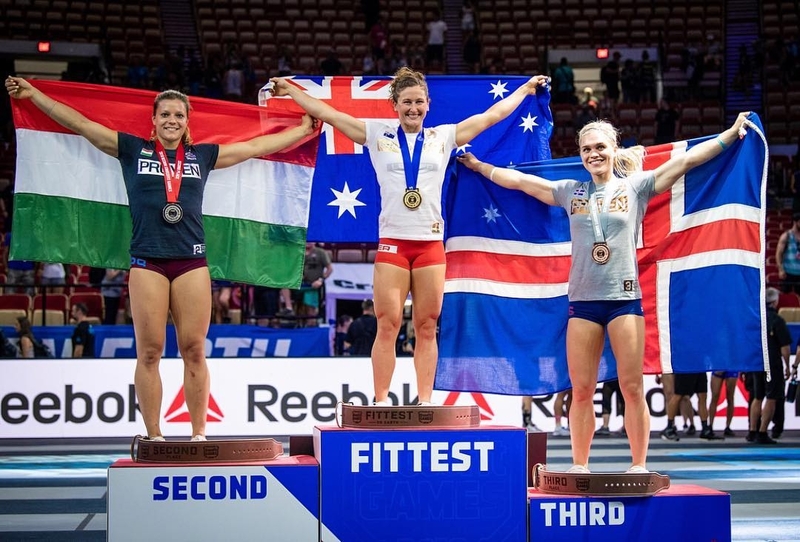 The first event to determine who's the hard working winner of a ticket to the 2019 CrossFit Games in Madison, was The Dubai CrossFit Championship. Laura attended the competition, but showed signs of weakness from the first day, only to drop out of the competition halfway through the weekend, due to severe back pain. It was a tough moment, but Laura was visibly not in her element during the competition so it was probably the best decision. A few days later, Laura's coach, Michele Letendre, opened up about what happened and admitted that with all the traveling and the new opportunities that Laura met right after the Games, maintaining a good training regiment is hard. Laura's commitment was still in place, but when you're traveling, it's hard to keep the focus solely on working out, eating clean and getting the proper rest. As a consequence, Laura has been back in Budapest, her hometown in Hungary, training in CrossFit B'Bros every day. With a newly gained vision of life as a celebrity athlete, Laura is entering the 2019 Open more mature, more grounded and probably more ready then ever. 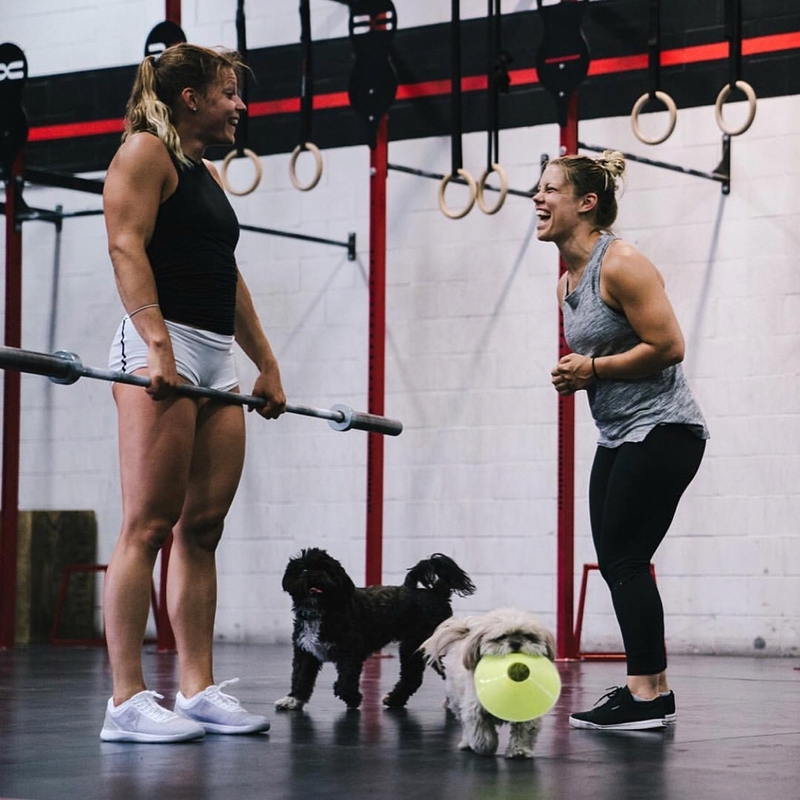 CHECK OUT: 3 workouts from Laura Horvath & 3 tips for the 2019 CrossFit Open. 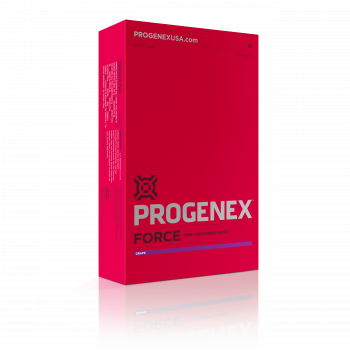 PROGENEX Force is the premier pre-workout product that increases oxygen, strength, stamina, and mental clarity and focus, helping you take your training and performance to the highest level.